It took many enduring, extraordinary events to form the Rocky Mountains. 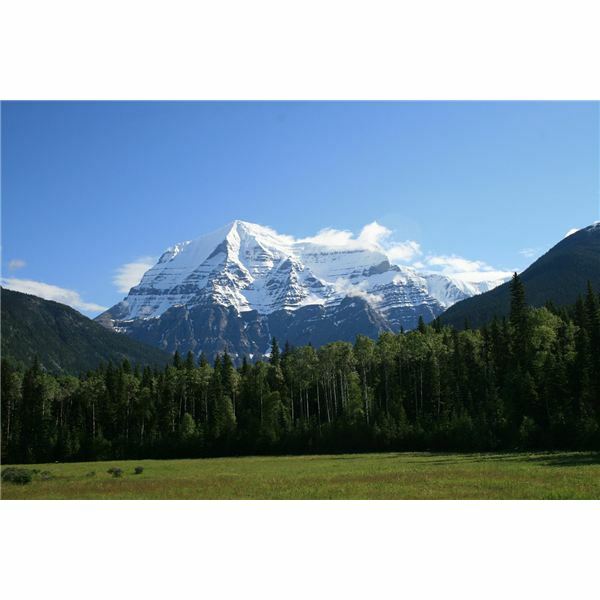 At 3,000 miles (or 4,800 kilometers) long, the mountain range stretches from Alberta and British Columbia in Canada through the United States from Alaska to New Mexico. Often referred to as the “backbone" of North America, the treeless high peaks gave the Rockies its name. If the Rockies had a birthday, you would need a million candles. They were formed when huge plates of land pushed together, folded over one another and created the foundations for the mountains. The Latin word tectonicus is the root of a scientific theory that states great landmarks were formed in the lithosphere—the upper crust and upper mantle of the Earth. This tectonic movement, coupled with convection currents under the earth’s mantle, broke up the earth from major activities such as volcanic eruptions, earthquakes and ocean trench formation along the boundaries of the plates. It took millions of years of land shifting and being pushed high from stress and geologic impact, creating underground rock changes too, shaping them into tall mountains. Glaciers, giant moving sheets of ice, also took part in this construction as they moved slowly over thousands of years, scraping, chiseling and wearing the rock away. When the glaciers melted, their sheer volume helped to structure beautiful lakes and moving water. The rocky ridges around them are called “moraines." Volcanoes had a hand in this mountain sculpture as well. Hot magna mixed with gases underneath earth’s surface seeks a way to break through the crevices on earth with molten lava, ash and pieces of debris. About 600,000 years ago volcanoes mostly in Montana and Wyoming did their deed. Water also helped to form the Rockies. Large bodies of flowing water and even trickles from streams helped to erode the land away, leaving sediments of sand and clay to change and shift the foundations. Breathtaking canyons and steep narrow valleys are the result, and the Rocky Mountain Trench runs from the western side of the Rockies in Canada with the Yukon River and into the United States for about 900 miles (or 1,448 kilometers) to Flathead Lake in Montana. Since the elevation—either a height above or below a marker like sea level—is so varied in this region, you will have snow-capped mountains such as Never Summer Mountain in Colorado, contrasting with the hot desert of New Mexico. The Rockies receive surprisingly little precipitation, as most of the water comes from melting snow. In addition, the tallest mountains break into clouds from the Pacific Ocean and that water moves inland, creating rain or snow. Because of the different elevations, climates and conditions, certain animals have chosen their homes according to their specific needs. For instance, mountain goats, which are more like goat-antelopes, often live above the timberline, or the highest point at which trees can grow. It only makes sense since goats are agile climbers with cloven hooves and rough padded feet, often white in color like snow with dazzling beards and coats. They generally live in small groups and feast on grasses and alpine, or uppermost, mountain vegetation. Bears, deer, mountain lions, furry hares and squirrels live below the timberline. You will find beavers, otters, pikas—a type of hare or rock rabbit—and other water-loving animals who fish hemmed into the rocky slopes and their nearby streams. Of course, streams are home to trout, pike, salmon, bass and many more types of fish. Turtle, snakes and frogs always seem to navigate near lakes and streams, laying on a rock sunbathing or making home under fallen logs. In the valleys are bison, elk, coyotes, raccoons, beavers, birds and owls. The slopes in the valleys can be covered with trees, wildflowers and field-type varieties of plant such as lilies, daisies and sunflowers. Every year, millions of people gravitate toward national parks to camp, hike, play and swim within the folds and topologic wonders of the Rockies. Government in both the United States and Canada established these parks as a place to preserve and protect the wildlife, flora and fauna and to enjoy the outdoors. Maynard, Charles W. Great Mountain Ranges of the World: The Rocky Mountains. New York: The Rosen Publishing Group, Inc. Book. Uehlke, Jeffrey. The Rocky Mountains. Minneapolis: Lerner Publications, 2010. Book. Wonderopolis: How Are Mountains Made?